You will find articles on the Crespi Hicks estate, articles and photographs on the original Crespi Estate and over 300 photographs illustrating the Crespi-Hicks home. Who Purchased Crespi Hicks Estate? 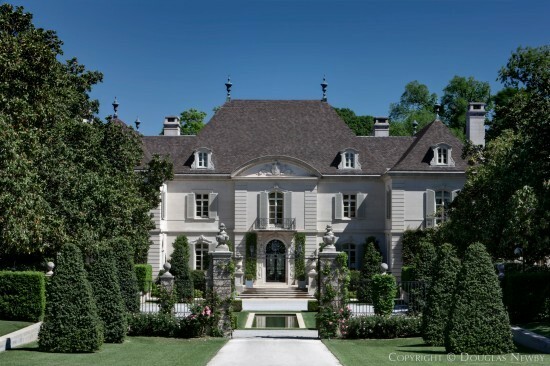 After the years’ expectation that Andy Beal would purchase the Crespi Estate, Andy Beal successfully negotiated the purchase of this Preston Hollow estate home. Private Air Luxury Homes is provided to private jet travelers, an audience shared with Douglas Newby. Architect Maurice Fatio designed the Crespi Estate was considered the nation's best estate architect in the 1920's and the 1930's. Maurice Fatio was best known for his work in New York and Palm Beach and the Crespi home, the last great estate home he designed. The estate neighborhood of Preston Hollow is the perfect location for the estate - Crespi Hicks. The Crepi Hicks renovation architect was Peter Marino. For the Crespi Hicks estate, Peter Marino furthered the proportions and refinement of architect Maurice Fatio. Crespi Hicks Estate benefits from the seclusion and topography of Mayflower Estates. The Crespi Hicks Estate is the lens through which to look at other Architecturally Significant Homes. The origin of the Crespi Hicks estate home begins with the Crespi Estate. Crespi Hicks offered for sale is found on Featured Listings of Significant Homes. The Crespi Hicks Estate is divided into three structures, allowing each room to be filled with sunlight. Crespi Hicks is found in the neighborhood of President and Mrs. George W. Bush. The Huffington Post was the first to announce that the Crespi Hicks Estate was being offered for sale. Huffington Post Article on "A Cultural Icon Comes on the Market"
An article in the HuffingtonPost.com describes the criteria for the finest estate homes. Huffington Post Article on "The Finest Estate Home in America Found"
This video on the Crespi Hicks explains the relationship of the architect and architecture with the land. Many consider Crespi-Hicks to have the most potential appreciation because of its architectural pedigree and the Crespi Hicks', 25 acre estate property. See over 300 photographs of Crespi Hicks. For further information contact me, Douglas Newby, real estate broker and listing agent for Crespi Hicks Estate. "Crespi Hicks estate home is revered around the world."